n a situation similar to that of the N'Edoghama Club, the Otu-Ihegbe of Uhen in 1985 wrote to thank Chief Igbinedion for "being the highest donor to the Bendel State Development Fund which was organised by the State government that year". 2 The Otu-Ihegbe also praised the efforts the Esama was making in the development of Okada and prayed that God Almighty should continue to support him in all his endeavours. Chief Igbinedion's philanthropy is numerous and ranges from simple, personal, and private assistance to a needy individual, to donations to clubs and corporate organisations, including governments. In 1987, Chief Igbinedion gave financial assistance to clubs to facilitate their camping at the Okada holiday resort. Earlier, in 1985, the Marymount College Agbor was full of prayers for the Esama for the donation he made towards the development fund of the college launched that year. In 1990, Chief Igbinedion received thanks from the Government of Bendel State for volunteering to sponsor a distressed student of the Obafemi Awolowo University. Soon after the University of Benin expressed its gratitude to the Chief for his memorable contribution to the building of the Faculty of Law Building. In the following year 1991, the National Council of Women's Societies, Edo/Delta States branch wrote to wish Chief Igbinedion "God's continued blessings for his magnanimity in sponsoring the Council's Secretary to the international conference held in Bangkok, Thailand". The reference to the family of Chief Igbinedion was a significant gesture on the part of the President of the Jackson State University. 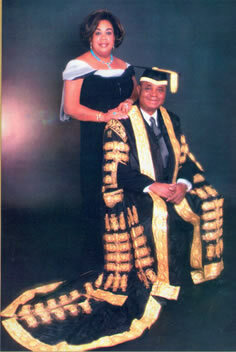 It showed that Chief Igbinedion invested in the welfare of his children through education. This value for education therefore explains his selfless donation towards its development. Moreover, it showed that Chief Igbinedion is a successful family man, and in business he is kind at heart, hence his inclination towards philanthropy. In 1989, it was the turn of the Nigeria Police Force, Bendel State Command, to appreciate his kindness. The then Commissioner of Police, Lawrence Chenbap, received on behalf of his command two motor vehicles donated by the Esama. Chenbap was particularly grateful to Chief Igbinedion for his "magnanimous generosity which had come at a time of economic distress for most Nigerians".4 Bendel, Niger, and Imo state governments which benefited from the goodwill of Chief Igbinedion were no less appreciative. 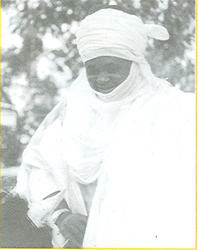 In 1985 the Military Governor of Bendel State, then Brigadier J,T. Useni expressed profound gratitude to the Esama for being the highest donor to the State Development Fund launched in December 1984, and "hoped that the State would continue to rely on his cooperation and patriotism at all times". This no doubt has been a grandiose display of awards aimed at compensating Chief Igbinedion, even if partially, for his great deeds. But a record of this nature can hardly be complete without relaying some of the awards in question as a primary source of further research on the life and times of Chief Igbinedion. For this reason some of the written communication between Chief Igbinedion and the beneficiaries of his philanthropy have been reproduced verbatim at the appendix of this book. Meanwhile, brief references of the reactions of some of those who benefited directly or indirectly from the philanthropic gestures of the Esama may be called for. One of these was the N'Edoghama Club which deeply appreciates Chief Igbinedion's handsome financial contribution to the Edo State Movement in 1982 describing the gesture as "a demonstration of selflessness and patriotism on his part".1 Another socio-cultural organisation of Edo people, the Iyi-Ewuare group was similarly full of praise for Chief Igbinedion for donating towards the Union's annual dinner party of 1983. A major and conspicuously unique award that can hardly be surpassed by any other is his award of Knighthood by the Diocese of Ondo Anglican Communion in September 1991. The Esama was honoured with the title of Grand Commander of the Knights of the Order of Saint Benedict (GCKB), the institution and investiture of which was conducted by the Right Reverend S.O. Aderin, Lord Bishop of Ondo in the Cathedral Church of Saint Stephen, Ok'a luko Ode-Ondo. In a related development, Chief Igbinedion less than a year later in May 1992 was honoured with the position of first Chairman of Board of Governors of the Wesley International Bible College, Owerri, in Imo State of Nigeria. It has been mentioned that Chief Osawaru Igbinedion carries out his philanthropic gestures apparently without expecting any benefits in return. These philanthropic gestures are usually to the less privileged or the desperately needy, and it would in any case be foolhardy to expect immediate returns from such ventures. The building and equipping of a school for students, the endowment of a chair or a particular discipline in higher institutions or the sponsoring of students to secondary and tertiary institutions are at best long term oriented investments. The Igbinedion Soup Kitchen, Chief Igbinedion himself for instance explains, was inspired by a revelation from God on his 55th birthday to establish the Soup Kitchen for the benefit of the poor and jobless. In spite of Chief Igbinedion's humility about his huge contributions to the upliftment and comfort of the less privileged in society, society itself takes notice of these contributions and decides rightly to give honour to whom honour is due. Societal notice of Chief Igbinedion's contributions show in different ways, including the conferment on him of chieftaincy titles, merit awards, and conferment of honorary degrees (honoris causa). The appointment of Chief Igbinedion as patron by clubs, associations and other organisations also constitutes a recognition of his relevance to society. Mention has been made of the traditional chieftaincy titles bestowed on Chief Igbinedion in appreciation of his personal achievements in life and his philanthropic gestures in society. 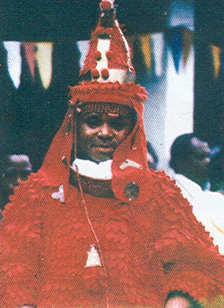 Gabriel Osawaru Igbinedion became the Esama of Benin in 1974 and since then he has been honoured with several other traditional chieftaincy titles from Langtang, Ibadan, Ondo, Oshogbo etc. These awards are in appreciation of the work he has been doing for mankind. Societal recognition of Chief Igbinedion's goodwill manifests in several other ways. Reference has been made to the visits he made to the Caribbean island of Jamaica and the United States of America, where he donated graciously to the institutions that invited him. In appreciation of his good gesture, Chief Igbinedion was awarded degrees (honoris causa) in various disciplines including; a Doctorate Degree in Law by Rust College, Mississippi, USA (1988) and the Doctorate Degree in Law by Oral Roberts University, Oklahoma, USA (1989). 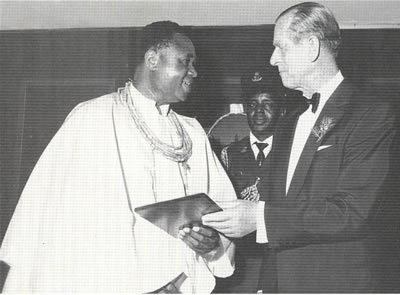 In a related development the Esama of Benin was honoured by the Duke of Edinburgh, His Royal Highness Prince Phillip for his contribution to the preservation of African wildlife. Within Nigeria, similar honours were bestowed upon Chief Igbinedion for the reasons already given. In 1990 alone he received three Doctorate Degrees (honoris causa), from Imo State University Okigwe, University of Nigeria, Nsukka and the University of Benin, Benin City. The first two degrees were in Business Administration while the other at Benin was in Law. Between 1992 and 1994, Chief Igbinedion acquired similar honours from the University of Calabar and the Edo State University, Ekpoma. 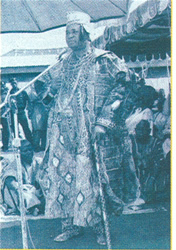 The Esama has also won merit awards of various dimensions including the Certificate of Merit as "Champion and Promoter of Rural Progress, Crusader of Humane Living and Indefatigable Entrepreneur", by the University of Nigeria, Nsukka, 1989, and the Gold Certificate by the Bendel State Government in appreciation of his contribution to the development of the State 1984/85. 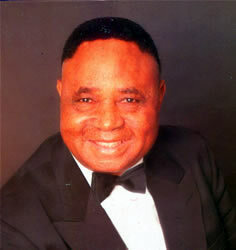 Chief Igbinedion also earned the Bendel Open Golf Championship Award for 1986 as the sole sponsor of the Championship. This was followed by a series of other awards by various other organisations such as the Cedar Club of Benin, the Lioness Club International, the Lions Club and Alpha Communications. Earlier in 1982, a Certificate of Honour for Outstanding Contributions to the Welfare and Progress of Edo people was awarded to the Esama by Edo Club, Benin. Some of the merit awards were tied almost exclusively to the success story of the Esama in his business endeavours. In this connection, he received awards and commendations of the Benin Chamber of Commerce, Industry and Agriculture for outstanding achievement in Air Transportation. In 1990 the League of Airport and Aviation Correspondent named him as the most distinguished and outstanding contributor to the growth of aviation in Nigeria. During the same period, Chief Igbinedion was honoured by Delight Production Limited among the 25 Nigerian Celebrities Gold Award. This was soon followed by the highest award granted by the Nigerian Institute of Internal Auditors. Gratitude to Chief Igbinedion for his overall involvement in and contribution to the development of the society was also shown by several clubs and associations by nominating him as their patron. The associations include: Bendel Golf Club Benin; Bendel Insurance Football Club Benin; the Lioness Club Sapele; Uda Club Ekpoma; Edo State Chapter of the Nigerian Union of Journalists; Farmers Association of Nigeria, Edo State Branch; Boy Scouts of Nigeria, Edo State Branch; Honorary Rotarian and a Five-Star Paul Harris Fellow; and the Grand life patron, Nigerian Institute of Management Technology. Dr. Hefner also spoke extensively on other aspects of Chief Igbinedion's life. Describing Chief Igbinedion as a man of great vision with unusually high level of business intelligence, Dr. Hefner deeply appreciated the Esama's "prolific concern about and endless devotion to the problems of the under-privileged. Chief Igbinedion, a gentleman of fine character, has done so much for humanity within so short a time of his life. He has enhanced admirably the position of humanity, particularly the black race. Chief Igbinedion instituted in Jamaica, African Language Trust Fund and the Montego Bay Exchange Visit Programme to Nigeria for students. A man of valour he turned his native place of birth, Okada, from a solitary habitation to a modern swinging and lively urban town with modern facilities. For all these rare qualities, Chief Igbinedion has been honoured, and he is to be consulted on major developments in the University, the first African to be so honoured. The University Board and Council presented a Golden Plaque to the Esama to mark his appointment to the Board. At Rust College, Chief Igbinedion's pleasant qualities were even more prominently displayed and noticeable. Apart from gaining an Honourary Doctoral Degree in Law, Chief Igbinedion was named Africa's man of the year 1988 by the Editorial Board of the famous American based African World News Magazine. Equally significant was the presentation of the key of Freedom to enter Holly Springs to the Esama of Benin by the Mayor of Holly Springs, Dadne Brown. We are breaking a record today, but rightly so, because the person that we honour with this Doctor of Philosophy in Law Degree is a world citizen, who has lent himself, his resources, his encouragement and his talent to the development of all segments of our world. At Oral Roberts University, Oklahoma, Chief Igbinedion was similarly treated to and honoured with warm words. His life as a Christian and a philanthropist constituted the main theme of the Oral Roberts welcome address and Chief himself addressed Oral Roberts University community on Christianity in Nigeria. Like in Rust College, Chief Igbinedion was respectfully treated at Oral Roberts; the Honorary Doctorate Degree in Law marked the zenith of his visit.